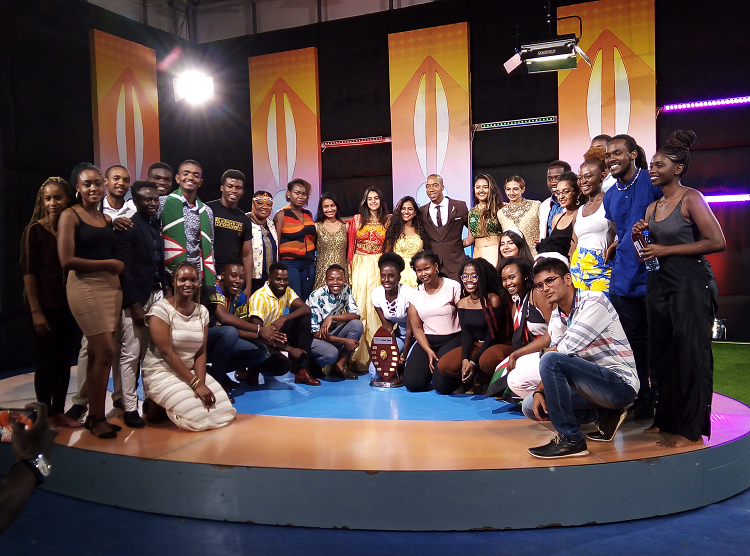 On Friday, March 8, a group of 30 students who presented the top two performances during the 2019 Culture Week Concert were invited to showcase their cultural dances during a live recording of the Sema na Citizen show at the Citizen Television studios. The Kenyan team which was awarded the best cultural performance led by Mr. Benjamin Waweru (International Business Administration) and Ms. Vienna Lidaguli (International Relations) presented a traditional song skit showcasing various cultures in Kenya. This was followed by a rap song performance from Mr. Wesley Casmir (Journalism) and Mr. Peter Ngungi (Finance) showcasing their musical talents. Meanwhile, the Indian team; second best in cultural performances were represented by Ms. Eesha Jobanputra (IR Major) who performed a rap mix of Sheng, Hindi and English, while Ms. Bhumi Patel (International Business Administration) and five of his fellow teammates showcased Indian attire worn on various occasions. During the interview at the weekday show that airs between 10am and 2pm, both teams highlighted the significance of USIU-Africa’s holistic education, which has helped them nurture their talents, preserve and appreciate their cultures as well as those of their fellow students. The students were accompanied by Associate DVC - Student Affairs Prof. Wangare Mwai and the 2019 Culture Week Planning Committee Treasurer Abdi Hakeem Mohamed (Finance).